Manchester United host Everton at Old Trafford on Sunday afternoon, aiming to secure back-to-back Premier League wins. 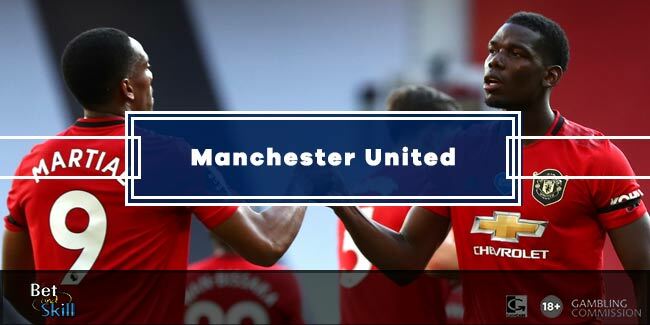 Find below our MANCHESTER UTD v EVERTON betting preview with free predictions, expert tips, boosted odds, starting line-ups, bookmakers offers and no deposit bonuses on this fixture! Manchester UTD secured a morale-boosting victory before the International break after Marcus Rashford’s 16th-minute goal sealed a 1-0 success over Man City in the Manchester Derby at the Etihad Stadium. Prior to that match, the Red Devils were knocked out of the Europa League after two disappointing results against Liverpool, drew 1-1 at home to West Ham in the Emirates FA Cup and lost 1-0 at West Brom in the league. The derby victory over Man City kept Van Gaal's side in sixth, but they are now just one point off the top four. Marcus Rashford is expected to continue in the final third as Louis van Gaal could name the same starting XI of the derby. Anthony Martial, Jesse Lingard and Juan Mata look set to form the attacking midfield trio once more. Ander Herrera and Ashley Young could return to the squad after recovering from groin problems, while Phil Jones remains out. Marcos Rojo may continue alongside Daley Blind, Chris Smalling and Matteo Darmian in defence. Bastian Schweinsteiger is out with a knee injury. Roberto Martinez will still be without the suspended Gareth Barry, although Kevin Mirallas is available after serving a two-match ban. John Stones and Bryan Oviedo are both fit and they could oust Phil Jagielka and Leighton Baines in defence. omelu Lukaku will be expected to lead the line for the Toffees as usual with Cleverly, Barkley and Lennon behind the Belgian striker. The reverse fixture was one of United’s best performances all season, with the Reds winning 3-0 at Goodison Park in October and also recorded a 2-1 victory in the corresponding league game last season. Everton have won four of the last seven Premier League meetings between the two teams, but have only won once at Old Trafford in their last 22 attempts. Boosted odds! 6/1 MANCHESTER UTD to win the match! Boosted Double: 14/1 Leicester & Manchester UTD both to win! Best price! 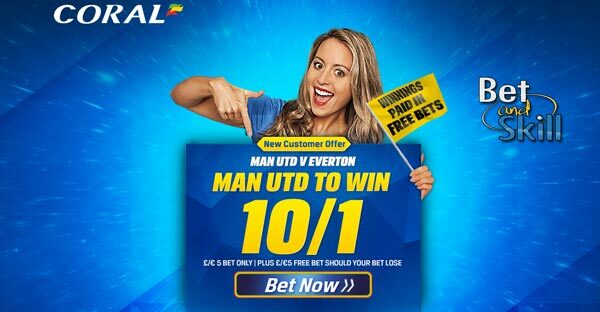 10/1 MANCHESTER UTD to beat EVERTON + £5 free! Enhanced Double: 12/1 Leicester & Man UTD to win + £10 free! Price Boost! 6/1 MANCHESTER UTD to win + £100 bonus! Risk-free! £25 no deposit free bet available on this match! "Manchester UTD v Everton predictions, betting tips, lineups and odds (Premier League - 3.4.2016)"